Many marijuana patients and recreational users are looking to explore there methods of medicating. For some, smoking is not a viable option and marijuana infused edibles makes a delightful alternative. There are even some businesses that offer delivery services for marijuana edibles for this that cannot, or choose not, to leave the house. When cannabis is ingested via an edible, it is first digested, absorbed and then enters the blood stream. This method cuts out any unwanted tar or carcinogens that unfortunately could come with smoking cannabis. Medicating with cannabis in the edible form offers a more discreet way to medicate and it also offers a long lasting effect in comparison to smoking marijuana. If you are using marijuana for the first time then it is recommended to start off with a low dose, approximately 10-15 mg of the active cannabonoids. Following this test drive you will know whether to increase the dosage, lower it, or keep it as is. Through trial and error you will find what is the right ratio of cannabanoids with each different edible. 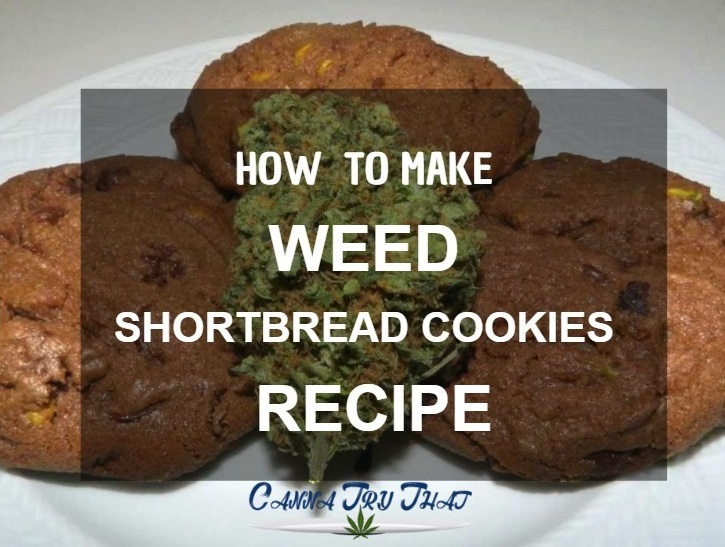 Edible marijuana can be in a healthy form, or it can take on the form of a comfort food- like a shortbread cookie. The following recipe contains three simple steps to get you on your way to eating yourself high. There is nothing quite like a shortbread cookie that melts in your mouth with the first bite, except of course cannabis infused shortbread cookie. Put the pan on a medium heat, if the heat is too high you run the risk of burning the butter. Allow the butter to begin foaming; at this point the milk fat should be separating from the butter. Skim off the milk fat from the butter. Pour the butter from the pan through the cheese cloth into your container. This process allows as much of the milk fat to be separated from the butter as possible. Wipe the pan out and pour the butter back into the cleaned pan. Attach the thermometer to the pan (avoid contact with the bottom of the pan) and bring the butter back up to a temperature of 250C. As the butter is heating again scoop off the milk fat with your spoon. It is imperative that the temperature does not exceed 250C. The aim is to make your butter into clarified butter, and then place the dried, finely chop marijuana in the butter. The aim here is to decarboxylate the marijuana so keep a constant eye on the butter mixture to avoid overheating. Set a timer for 27 minute but if the butter ceases to bubble then the mixture is ready. Once the timer is up or the butter is ready then remove from heat and strain the mixture (through metal strainer not the cheesecloth) into a container. Allow the butter to stand until it has solidified once again. Preheat the oven to about 325C. Sift the dry ingredients together in a mixing bowl. In a separate bowl whisk the butter at high speed. Once the butter is light and fluffy add the fine sugar and continue mixing at a medium speed and combined properly. Now add the vanilla essence and resume the mixing. Add the flour and at first mix it together with a spoon. Once all the dry flour has been mixed in then resume mixing with the beater. The mixture will become pliable and at this point make it into a ball and put it on some plastic wrap. Roll the ball flat, around 8 inches in size. Let this chill in the fridge for a couple hours and then remove from the wrap. Roll the dough on a floured surface; make sure that the dough isn’t rolled thinner than ¼ inch. Use a cookie cutter to get the cookies in shape from the dough and place these cookies on a tray. Let these cookies chill once more in the fridge for another 30 minutes. Remove from the refrigerator and put the cookies in the oven for approximately 15 minutes. Once the edges have begun to brown remove the cookies and allow them to cool.